The “Killer B’s” ERA in Pittsburgh is officially over. After Antonio Brown was traded to the Raiders, the second, and most anticipated, “B” in the trio has finally left the Steel City. After sitting out the entire 2018 season, due to contract disputes over being franchise tagged for a second straight season, Le’Veon Bell has signed with the New York Jets. Bell’s new contract was first reported by ESPN’s Adam Schefter. Later in the night Bell confirmed the news via twitter. Bells contract is four years and 52.5 million dollars with the potential to be 61 million with incentives. Everyone’s first impression is that this deal is awful considering Bell sitting out last season. I disagree though with that idea. 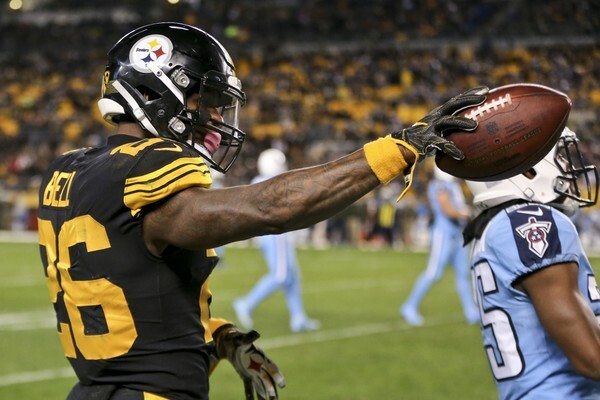 Sure Le’Veon wanted more money than what the Steelers were offering, but his hold out was due to the lack of longevity of the franchise tag. Bell didn’t want to risk a major injury for essentially a one-year deal. This deal gives him a four year contract with 35 million guaranteed. I think this is a huge win for Bell. With the Addition of the Redskins wide receiver Jamison Crowder, the Jets got two great weapons for their second year quarterback Sam Darnold. The Jets could have an interesting season this year. If they can get one more offensive weapon they could very well be a 9-7 or 10-6 team. A nice step in the right direction from their 4-12 season last year.